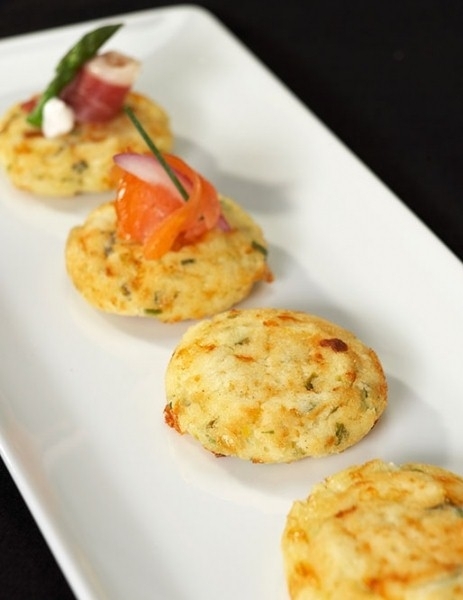 Bite-size gourmet appetizers are scrumptious finger foods served as party-starters. Low-stress, and inexpensive these are great conversation starters. Planning to organize or host a wedding, a corporate event, a reunion, or a festival? 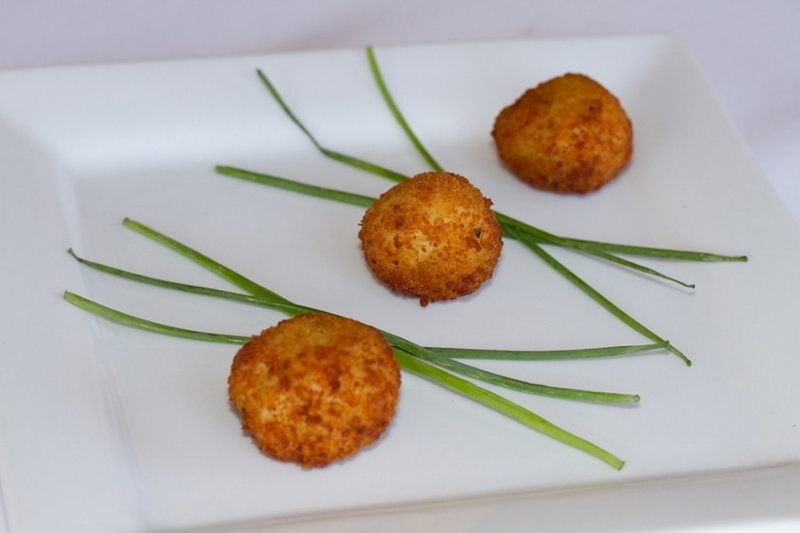 We have your appealing appetizer party covered from the first bite to the last with these adorable mini appetizers and these practical tips to make it a hit! 1. Dips and Spreads: Not a category of appetizer, but vital as a pair food that is served along with appetizers like tapenades, relish and so on. 2. 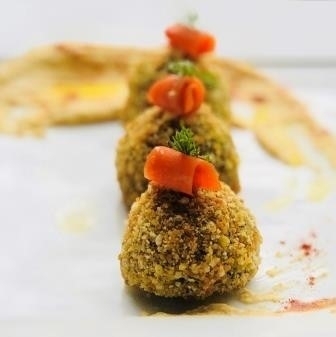 Garden: Apt for health-conscious guests, these appetizers are made from fresh fruits or vegetables and can be cooked or served raw or as stuffing. 3. Snacks: Mainly savory finger foods such as nuts, chips, popcorn or pretzels – all ready-to-eat appetizers. 4. Starch: Not for the faint-hearted, these are the yummiest and the most irresistible appetizers available - finger sandwiches, dumplings, pizza, bruschetta, rolls, crackers, breadsticks, and all the cheesy gooey bites. 5. 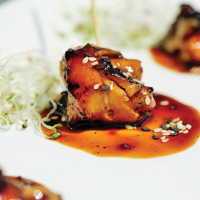 Protein: A dose of protein-rich food served as delectable bites - meatballs, fish, chicken wings, sushi, egg, cheese and tofu - and you are good to go. 6. 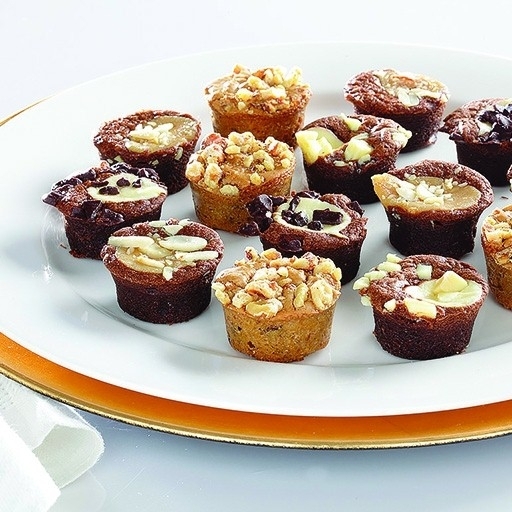 Desserts: In bite-sizes, these sinful dessert appetizers are perfect to soothe sweet cravings. Line up those cookies, candies, chocolates, or slivers of cake and we bet your guest will leave wanting for more. Pro Tip: Putting in a little effort to check for guests’ dietary restriction, goes a long way in making everyone feel thought-of and included. Go for an assorted appetizer spread with vegetarian, vegan and gluten-free options apart from the ones we mentioned above. If you feel you might run out of food, we suggest you stock frozen appetizers and dry snacks that can be used if required. Deciding the menu is a real task, but don’t worry we have your back. We have picked out a selection of the best bite-sized party appetizers, that don’t have to be prepared. You can place the order, take the delivery, serve as instructed and enjoy with your guests. 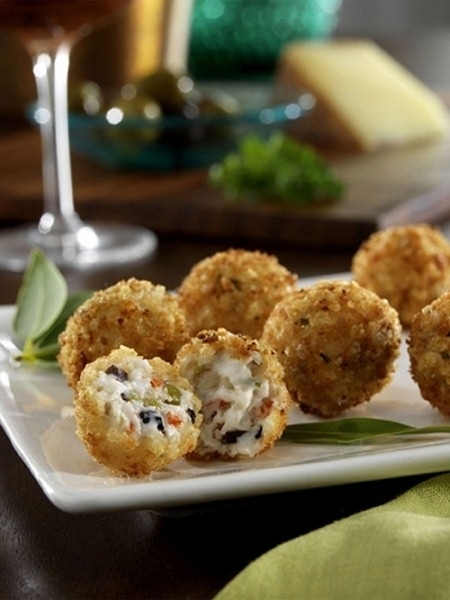 These round-shaped Italian delicious balls are made from rice with a gooey gouda center and coating of panko breading. Stock them in your refrigerator and fry or bake before serving to your guest. 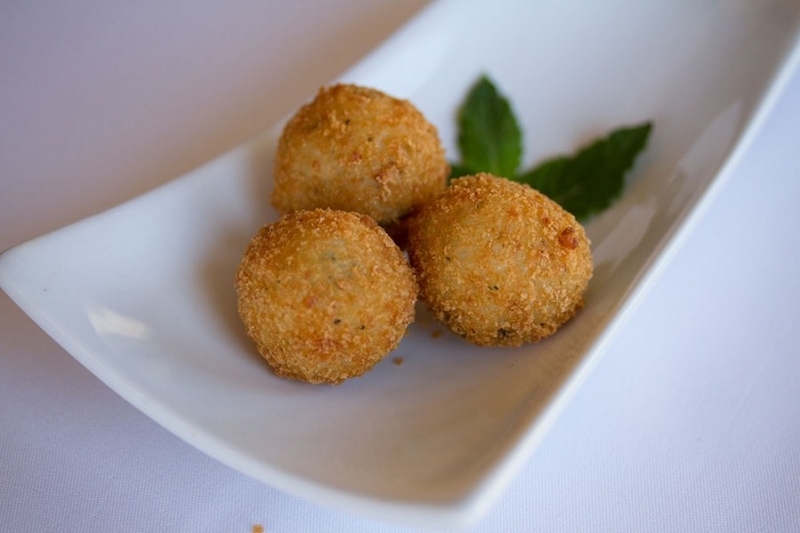 Crispy croquettes of creamy Manchego cheese and chopped olives for a melt-in-mouth experience. You need to deep fry them until golden brown before serving to your guest. 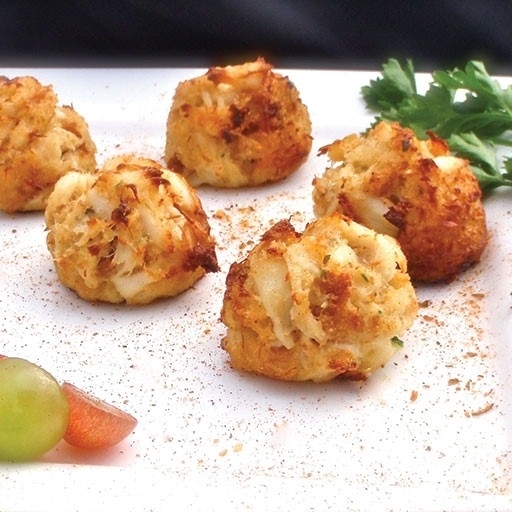 The irresistible crab cake delicacy packed with .75 oz of 100% premium lump crab cake. Defrost it for 4 to 6 hours then fry or sauté on medium to high heat with butter on each side, or you can bake it without parchment paper at 350-400 degrees for 12 to 15 minutes. An instant hit with young and old alike for its assorted mix of flavors and mouth-watering taste - available in Raspberry Cream Cheese, Peanut Butter, Blondie, & Cream Cheese Zebra - each assortment contains 12 pieces each of 4 different flavors. Serving is simple. Defrost for 25 minutes and serve! A moist chicken breast strip with a creamy fontina and sundried tomato blend filling and a coating of seasoned herb and breading. It can be baked at 350 degrees for 5 to 8 minutes or deep fried until golden brown. 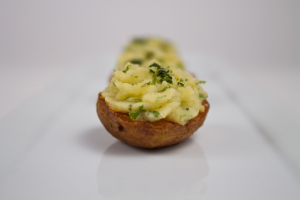 A delicate dish made from mini potato skins stuffed with cheddar, bacon & Idaho mash. Bake in oven at 325F for 5 to 10 minutes and flip if required. Do not microwave. 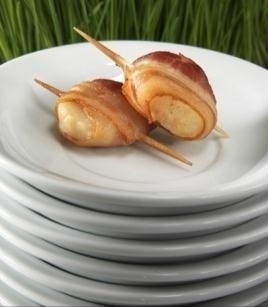 Savory bacon wrapped around crunchy water chestnuts with a bamboo skewer in between. Bake it in parchment paper at 375 degrees for 12-18 minutes. Juicy strips of chicken, marinated in Teriyaki, and then rolled around an array of red, yellow and green bell peppers, with scallions and a pinch of Monterey jack cheese, for a kick. Thaw and cook at 375 F in the oven for 8-15 minutes. Do not microwave. Handmade corn cakes mixed with jalapeños, Monterey jack cheese, and fresh green onions. Deep fry for 2-3 minutes or bake in an oven at 350 degrees for 4-10 minutes. 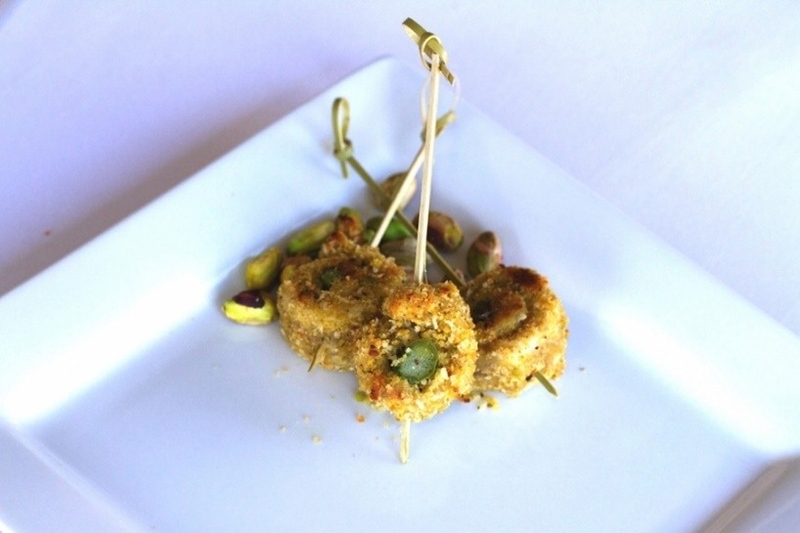 A tender piece of chicken, encrusted with finely chopped pistachio nuts, wrapped around an asparagus spear tip and elegantly presented on a knotted skewer. Bake it on parchment paper at 375 degrees for 12-18 minutes. Vegetarian and Gluten Free Quinoa & Zucchini Fritters made with crumbled pine nuts, feta cheese, lemon juice, fresh parsley and dill. Deep Fry at 350 degrees for 2-4 minutes and then bake at 350 degrees for 1-2 minutes. 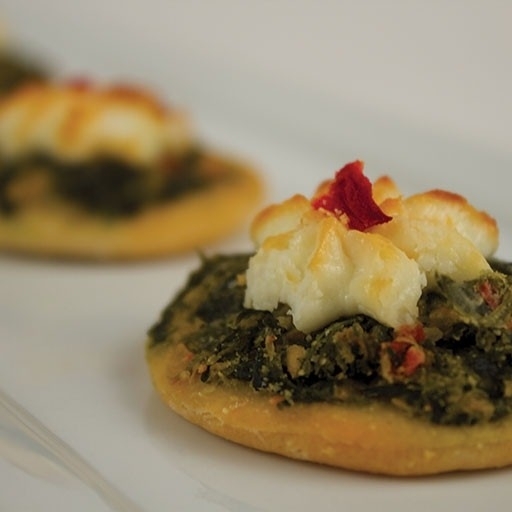 Crisp baby spinach paired with Goat cheese and topped with pizza sauce, layered onto a miniature flatbread. Defrost for 1 hour then bake it in the oven for 5-10 minutes at 325 degrees. Note: Cooking times may vary based on the type of oven and the quantity of appetizer. Read the complete instructions before serving the food. Plan your time as per the requirement to heat, deep fry, bake or thaw so that you serve your guest at the planned timings. We make organizing a party easier than a cake for party planners, event managers, wedding planners, or casino managers – all you need to do is choose the right party finger food appetizers for a crowd along with dessert appetizers and place your order now!